Since early childhood, I have been fascinated by words and their meanings. We accept things, repeat them, generation after generation without ever stopping to wonder why we do it. 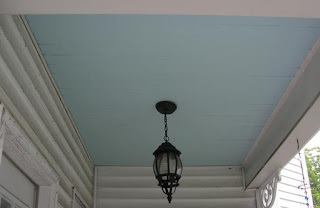 One example of this is Haint Blue Ceilings. If you have ever traveled through the South of the USA, and even into parts of the Northeast, you might come upon a curious phenomenon and its even stranger name. 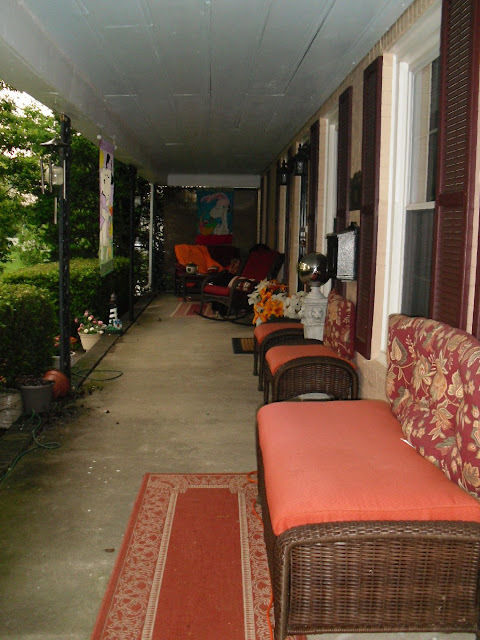 As you marveled at the beauty of these long verandas, which harken back to an era where once ladies sat all afternoon sipping their sweat tea or lemonade, you might wonder at the terrace’s color scheme. 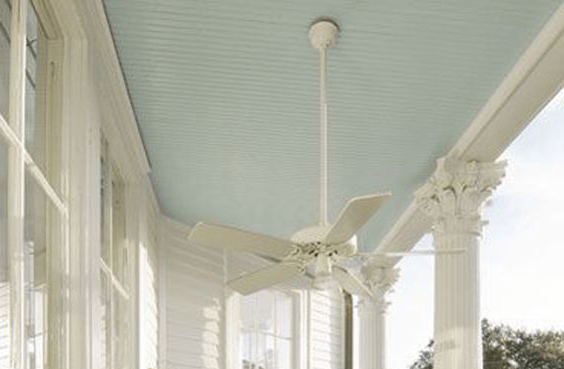 No matter what hue the house was painted—white, pink, yellow—if you looked up you might be surprised to see a green-blue ceiling on these graceful porches. They are called Haint Blue Porches. The original idea came from the word haint—a bastardization of the word haunt. It was often used in the context of a haint being a ghost or spirit that might try to haunt a home. The Picts and Celts of Scotland considered the color blue sacred. Why Pict warriors would paint themselves with blue woad before going into battle. Blue held a power to these ancient people as they considered it the color of the sky—the home of the Auld Gods. The ceiling to the world, you might say. Long before it was popular to wear white, brides often wore pale shades of blue, because they were wrapping themselves in the protection of their deities. This also is a part of the wedding tradition we still say even today—something borrowed, something blue. If the bride didn't wear blue, she most certainly would have carried a blue kerchief, wore blue ribbons in her hair, or her garters would have been blue. When starting a new life, she would've wanted all the blessings she could gather. A lot of the South was settled by immigrant Scots, second or third sons seeking to make their fortune, and with them came many of the traditions, lore and superstitions. Over the centuries, these customs and their meanings faded from memory. Brides now view white as the color of choice for weddings—but they still carry that bit of blue for good luck! 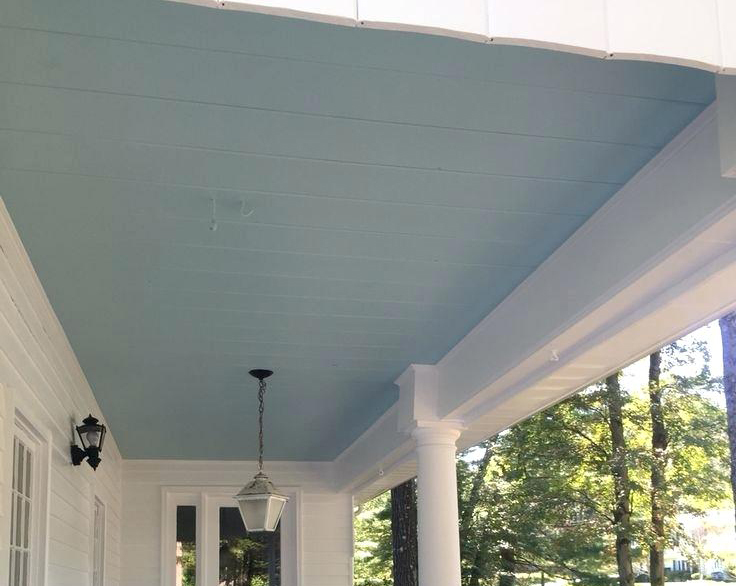 In that same mindset of bringing luck to your home, they painted their veranda ceilings a pale sky blue, essentially seeking protection for the entrance to their home with the blessings of blue. Ghosts were considered spirits doomed to wander the earth, and not allowed to move on to the peace of the heavens. Thus, when some restless spirit might try to enter a home, they wouldn't cross a porch protected by ancient deities. Such lore faded. Yet, those threads of blue bringing protection and good luck linger. Though the intent in painting the ceilings this shade passed away with long ago generations, people continued to paint their ceilings in this manner. If asked, the rare knowledgeable person might know some variation of the reasoning. Some mention blue is the color of water, and ghosts were thought to be unable to cross water. The blue stopped the spirit from crossing the porch to enter the home. I think that explanation is an example of how lore changes through the ages—and loses its true meaning. Similar purpose, though the logic behind has changed from sky to water. Why I still believe the sky was the origin of the blue ceilings—if they were imitating water to scare ghosts away why not paint the floors blue? The painting of the ceilings harkens back to old beliefs that transcends centuries and centuries of oral lore. The haint became so attached to the blue ceilings that they were called Haint Blue Ceilings. So wide spread was the term, that paint companies actually manufacture the precise hues with the Haint Blue name to this day. When I bought my current home after fire destroyed the former one, the seller stood on the veranda and spoke about the blue ceilings and how they were painted that way to make the older folk feel they were under a blue sky. I smiled. I think she was surprised when I called it a Haint Blue Ceiling. 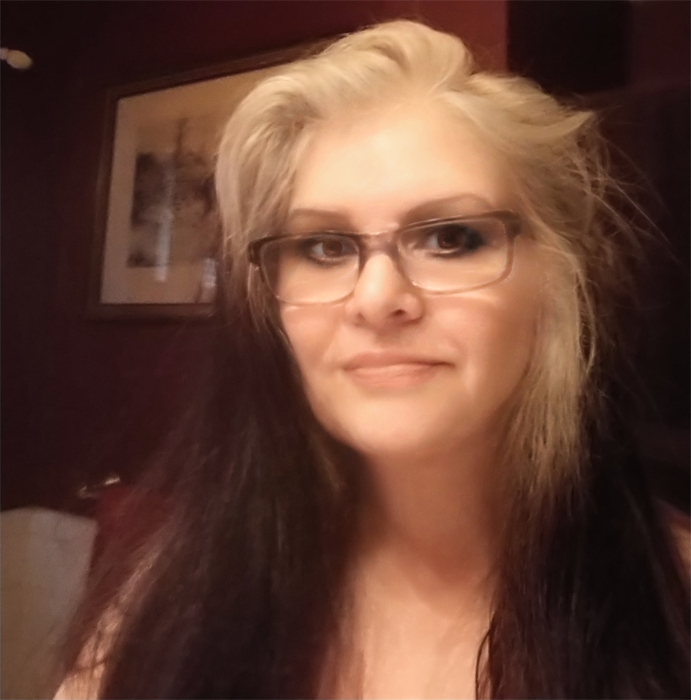 I was saddened when I moved in, to discover they had very nicely done some spring cleaning before we went to contract, and painted over my Haint Blue Ceiling and made it white. It was a hurried job of one coat, so the Haint Blue shimmers through the thin covering of white. So, the next time you cross a porch, and glance up to see a blue ceiling, you can smile to yourself and know you are staring at a piece of history and the lore behind it—not an odd choice in paint pallets. It is a small thing, but one that tells you to stop and look around you--and you will find history in nearly everything.